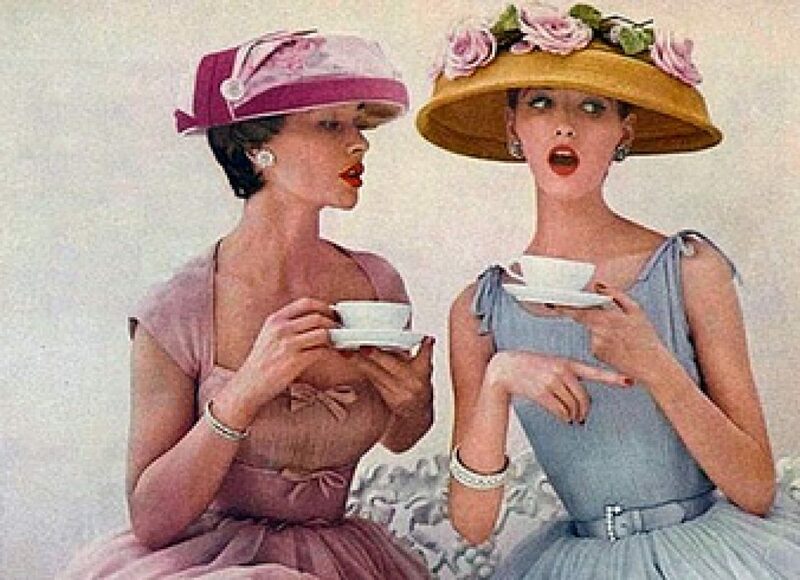 You know I love a pillbox hat, I do- but boucle suits are really not to my lifestyle. The First Lady Closet I totally covet is of course the Ambassador to Target herself, Mrs Obama. Check out the Easter Egg Rollin’ ensemble….Tracey Reese…..
Maybe there is more to Easter than semi-stale peeks and spiral-cut ham…..
Great way to celebrate Spring and so glad she didn’t wear clunky sandals like the model! Love those peeps! 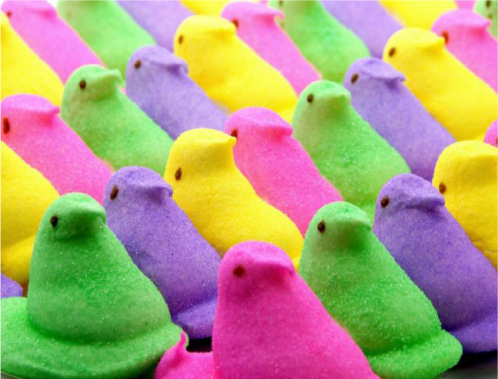 One of the good things about peeps is that the only difference staleness makes is that it just takes longer for them to melt in your mouth. Sugary goodness! Mmmm. That dress is gorgeous! Mrs. Obama’s fashion choices are always so perfect– it’s nice to see a First Lady that doesn’t feel obligated to wear suits to everything. 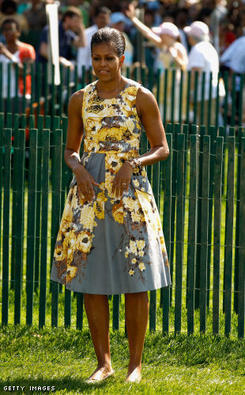 Michelle Obama is so wonderfully comfortable in her own style. It makes for enjoyable viewing always. I agree about the clunky sandals. Just an awful choice for such a pretty dress. As to Peeps, it is a guilty pleasure I’ve given up, except for just this one box…. Dress is so pretty…love the colors. Mrs. Obama is one who instinctively knows what is appropriate and what flatters her. Love the peeps.. I love the First Lady’s style. If I had her arms I would bare them every day. Oooh…I missed this somehow..on Mrs. O and @ Target. I want to find that fabric!